The Easiest Home Upgrade You Can Make | Valet. 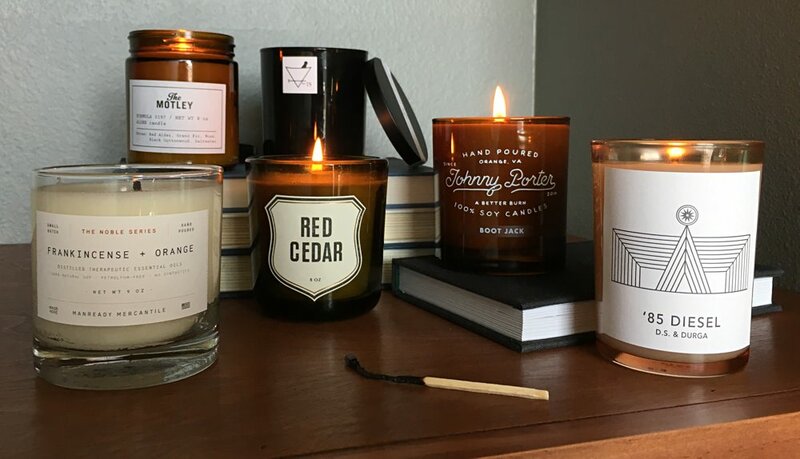 Whether you're cozying up to someone indoors, or just trying to ignore the cold weather and dark days outside, lighting up a good candle can be a transformative experience. Any gentleman who's spent some time at the better men's shops or a well-appointed hotel will appreciate the subtle but effective environmental improvement that a flickering flame and rich aroma provides. But not all candles are created equally. Look for those that are crafted in small batches using sophisticated fragrances and made from quality waxes that will burn smoothly and slowly. Then sit back and relax in style. We're fans of these extra long matches, which make easy work of lighting multiple candles and look sharp on a coffee table as well. A fresh, citrusy scent with warm undertones of wood and bay leaves. Plus, the jar can be rinsed out and used as a rocks glass. Like the brand's cologne, this features a multi-layered fragrance with a West coast combination of saltwater, red adler wood and moss. True to its name, this recycled, colored glass jar holds a candle that smells exactly like fresh cut cedar wood. A smoky blend of meditative palo santo and white sage, created in collaboration with style writer Sean Hotchkiss. The brand's best seller is a fresh, but masculine mix of seasoned oak, dried lavender and leather. A favorite in the Valet. office, this handsome jar holds a rich mixture of leather and wood with a faint touch of diesel smoke. How to make the small space around your front door functional and good looking.